The Manta-Manaus multimodal corridor was designed to “connect port city of Manta on Ecuador's Pacific coast with Manaus, a bustling river port in western Brazilian”. The project was developed in 2000 within the IIRSA (Initiative for the Integration of the Regional Infrastructure of South America). The IRSA gathers more than 500 mega-infrastructures projects. The initiative for the multimodal corridor aimed at building and improving an infrastructure for storing and transporting goods (hydrocarbons, agricultural and fishing products, wood and biofuels) along the Amazon. The project included the construction of a 600 km land route from Manta to Coca (Francisco de Orellana) on the Napo river, and a 2,860 km river route to Manaus. Travelling by river from the Ecuadorian Pacific coast to Manaus would take only 10 days. It is clear that the project is important for multinational corporations in terms of time saving and the resulting economic benefits in transport between China and Brazil. The project cost was initially estimated at approximately US$ 400 million, which later rose to around US$ 800 million. Actually, some experts estimate that the final cost could top US$ 2 billion, without including the construction expenses in Peru and Brazil. Along the financial costs, environmental impediments are also at stake. 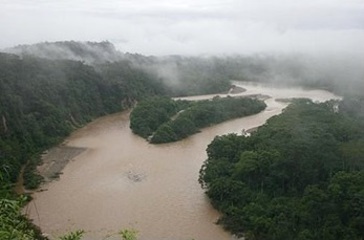 As for instance, the feasibility of making the Napo river navigable 365 days a year is very low because the river’s banks change over the year. As a result of these multiple barriers, little progress has been made so far in the construction of the infrastructure, except for highways starting and ending in Manta and an airport in Tena. Some of the mega-projects started in 2006 were suspended due to lack of funds, local community opposition, conflicts between construction companies and the Ecuadorian Government along with the need to carry out proper environmental impact assessments and feasibility studies. Still by January 2016, during an official presidential visit in Quito by the President of Brazil to Ecuador, Dilma Rousseff and Rafael Correa announced their still alive willingness to push forward the multimodal corridor. Project Details The project included the construction of a 600 km land route from Manta to Francisco de Orellana (Coca), and a 2,860 km river route to Manaus. It also includes the construction of one port and one airport. It was planned to build a huge petrochemical complex in El Aromo, near Manta, that could refine up to 300,000 crude oil barrels per day. 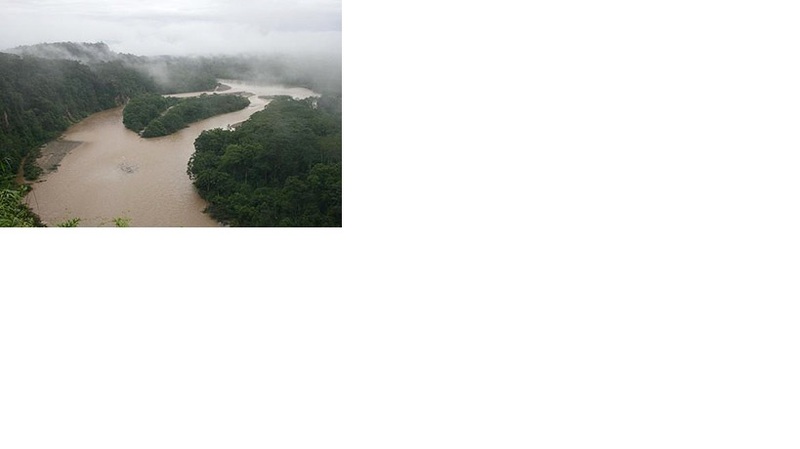 The dredging of the Napo river would mean removing 82 million m3 of sediment and transporting them to large pools. Why? Explain briefly. The construction of a part of the project started in 2006 in Ecuador. It stopped a bit later, but it is still planed to continue with it.